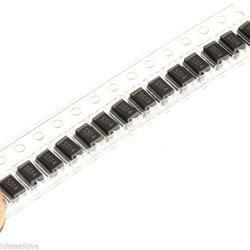 We are leading importer and suppliers of Schottky Diode. 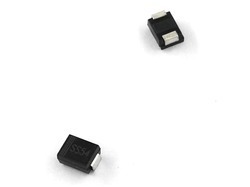 The SS series is a high efficiency, low power loss general propose Schottky SS34 Rectifer Diode. The clip bonded leg structure provides high thermal performance and low electrical resistance. this rectifier is exclusively suits for free wheeling, secondary rectification and reverse polarity protection applications. 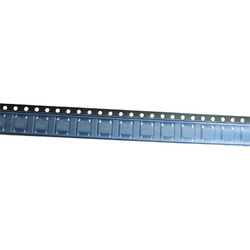 The SS series is a high efficiency, low power loss general propose Schottky rectifier. The clip bonded leg structure provides high thermal performance and low electrical resistance. this rectifier is exclusively suits for free wheeling, secondary rectification and reverse polarity protection applications. 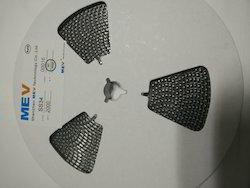 Surface Mount Schottky Barrier Rectifiers.